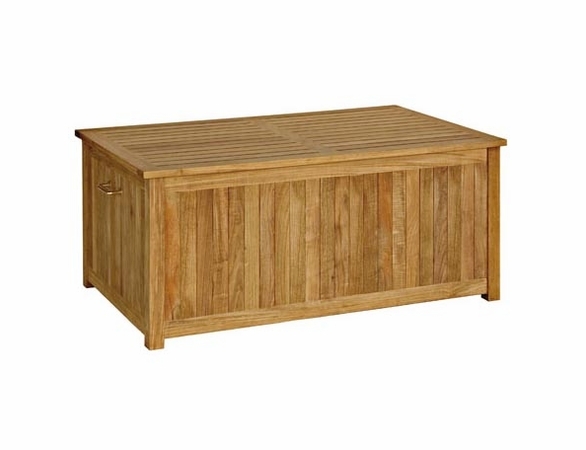 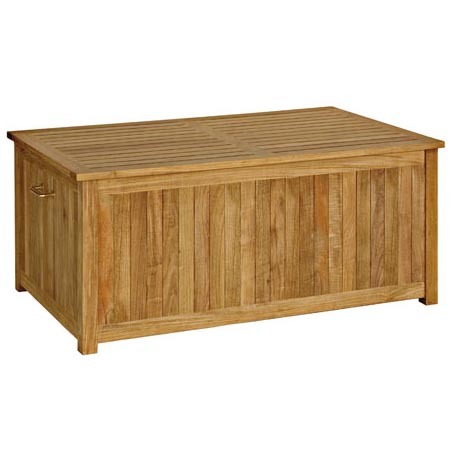 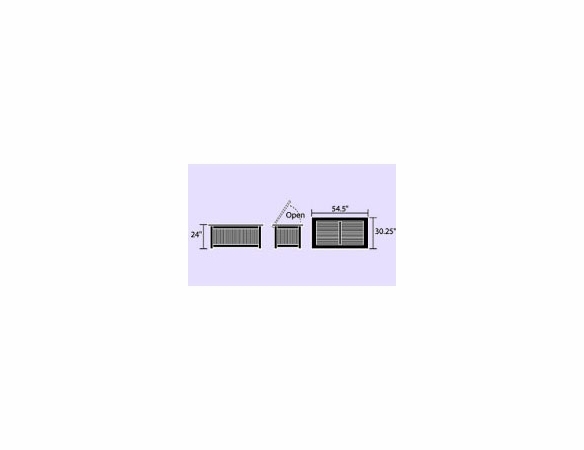 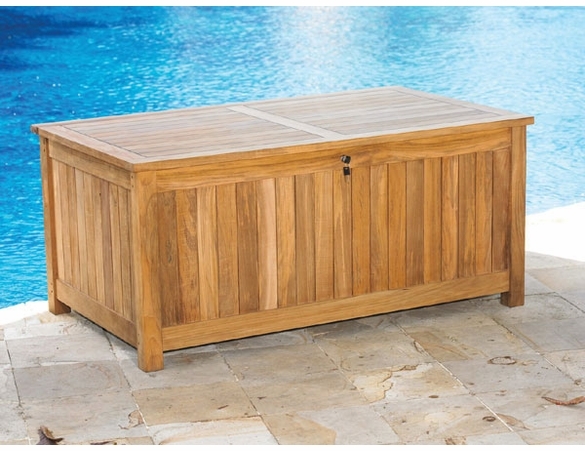 This versatile Teak Cushion Storage Box is essential for any functional outdoor living space. 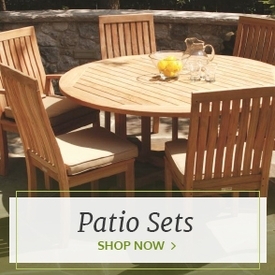 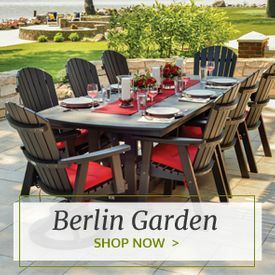 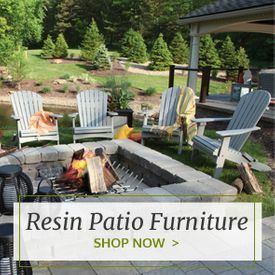 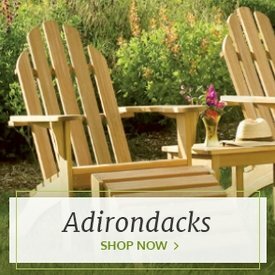 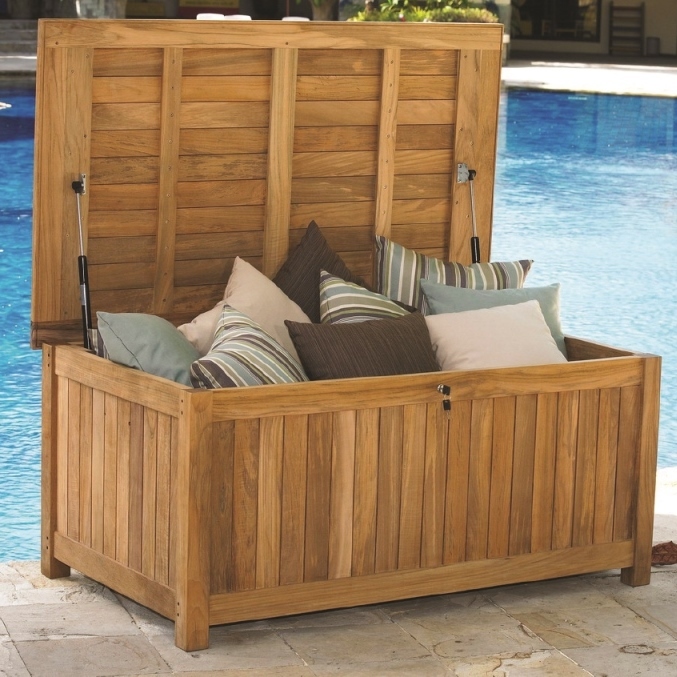 Designed to be both stylish and practical, it’s built to organize and preserve all of your outdoor cushions, garden tools, pool toys and more, and also doubles as additional seating while closed. 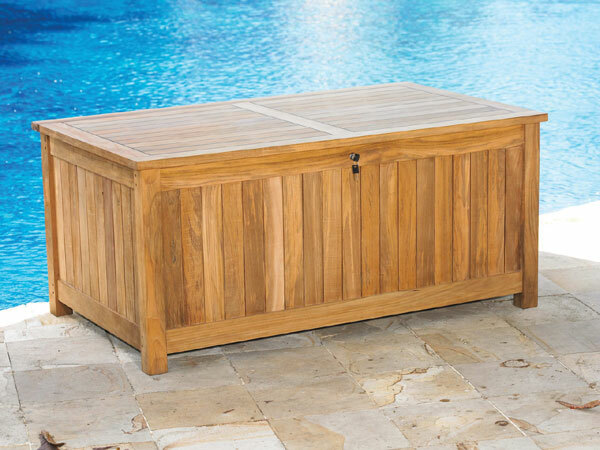 Constructed from polished, plantation-grown teak, this wooden cushion storage box is built with a hydraulic system that keeps the box from slamming shut, making it a perfect outdoor storage box for the pool deck or anyplace where kids might play. 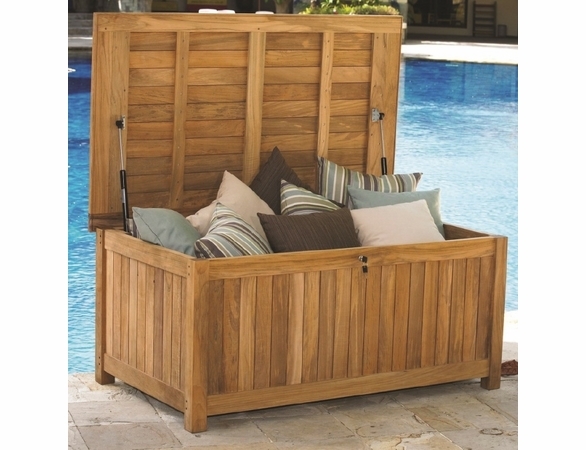 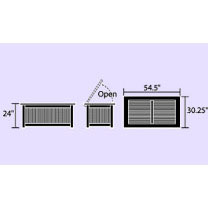 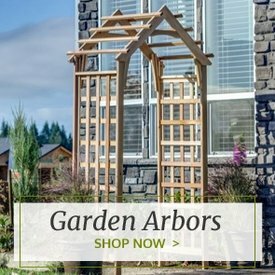 It measures 54.5 inches by 30.25 inches by 24 inches and ships free from Outdoor Furniture Plus.